A few months ago Reverso announced the release of Reverso Context as an app for iOS and Android, also available as a web page. I downloaded the app, and found something that will look familiar to users of Linguee: translations of words and phrases in context (hence its name). The app has a slicker interface than Linguee and offers more functions and commands (see the screenshot below). It records a history of your searches and their results -- a good way to find which terms to add to your glossary, although this function would be more useful if it included a way to download your history. 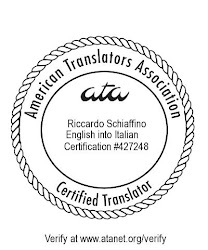 You can propose alternative translations and explain why the translations suggested are bad. And you get links to several other Reverso applications including free bilingual dictionaries. "This way, users can seamlessly improve their foreign language skills in a way that’s not available in any other similar tool, learning how to use new words and expressions in their day-to-day lives just like native speakers do." 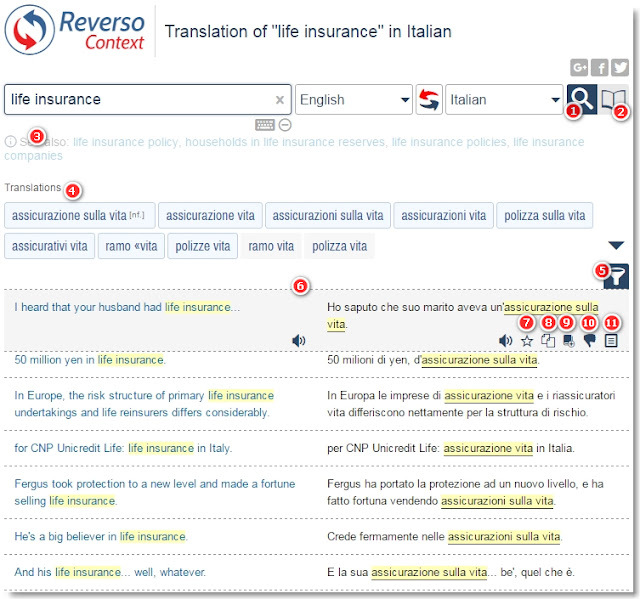 The claim of uniqueness is exaggerated, since the main functionality of Reverso Context (showing translations of words and phrases in context) is something that Linguee also does. Just like in Linguee, the prudent translator should check if the site from which the proposed translation comes is authoritative and reliable. As for contents, sometimes Linguee has better translations, and sometimes Reverso has an edge. The major differences are that Reverso Context offers fewer language pairs than Linguee, and that Linguee leans towards Europe Union documents, offering perhaps more real-world material. But we don't need to choose one tool over the other: the best way to take advantage of these apps is to use them both, together with your other favorite linguistic search engines, in a multisearch tool. I use them through WordWeb Pro (which I'll review in a forthcoming article), but you could use other tools, for example through IntelliWebSearch, Multifultor or even Xbench. Reverso Context offers 10 different languages (v. Linguee's 25 languages), and while in neither tool all languages are translated into all other languages, the number of language pairs is greater in Linguee. Reverso Context is a useful addition to our terminology toolbox. The app works in iOS, Android, Windows, and as a web page that can be used through a browser. Unlike Linguee, it displays ads -- but they are unobtrusive. Very useful. Thank you for posting not only your description, but the one from Théo H. I use Reverso Context every day. I hadn't been aware of some of the characteristics he mentions (such as the fact that pairs are ranked algorithmically), but they make sense. I like the fact that examples from both real-life speech and official documents are included. You mentioned Multifultor, a tool that is capable to search Reverso Context as well as several additional online & offline resources **simultaneously** in one go. Actually Multifultor doesn't exist anymore. Its successor is Omni-Lookup. See www.omni-lookup.de. I use the Android app. At times, a translated word has a color bar of different colors over the resulting options, maybe green, blue, brown, red, etc. There doesn't seem to be any rhyme or reason for this. I can't find any explanation for what these colors signify. Do you have an explanation? I don't have any explanation. I don't use the Android app myself (I really only use Reverso on my PC), so I don't know why that would happen or what it means. Have you tried writing to Reverso's tech support?